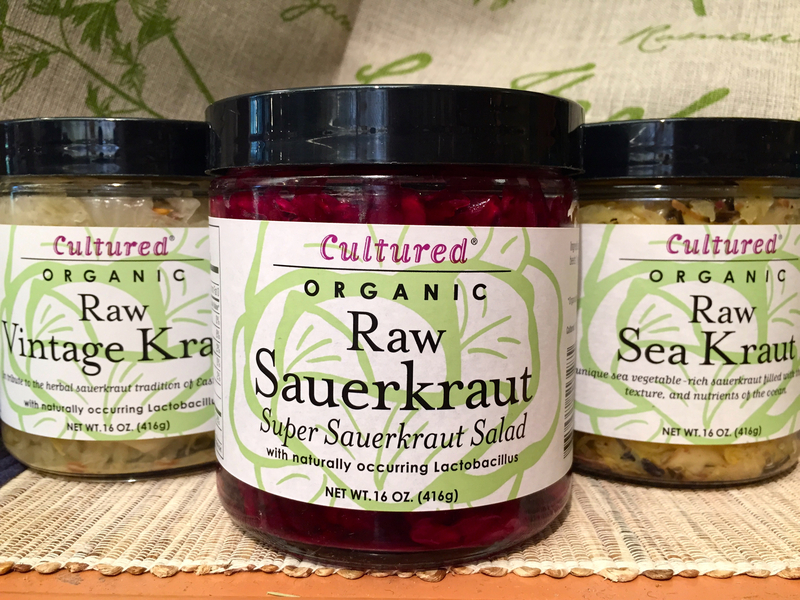 Remember when sauerkraut was just something you slopped on top of your hot dog? These days, people are spooning mounds of it straight onto their plates with hope of reaping the benefits of the “good bugs” found in fermented foods. I knew things had really turned the corner when I saw two women have a veritable showdown at Whole Foods over the last container of Sonoma Brinery’s Raw Sauerkraut. Sauerkraut has recently appeared on my shopping list too (and I don’t eat hotdogs). I’ve even contemplated fermenting my own at home. But I’ve been wondering if these salty-sour cabbage shreds truly merit their re-designation as a health-bestowing food. 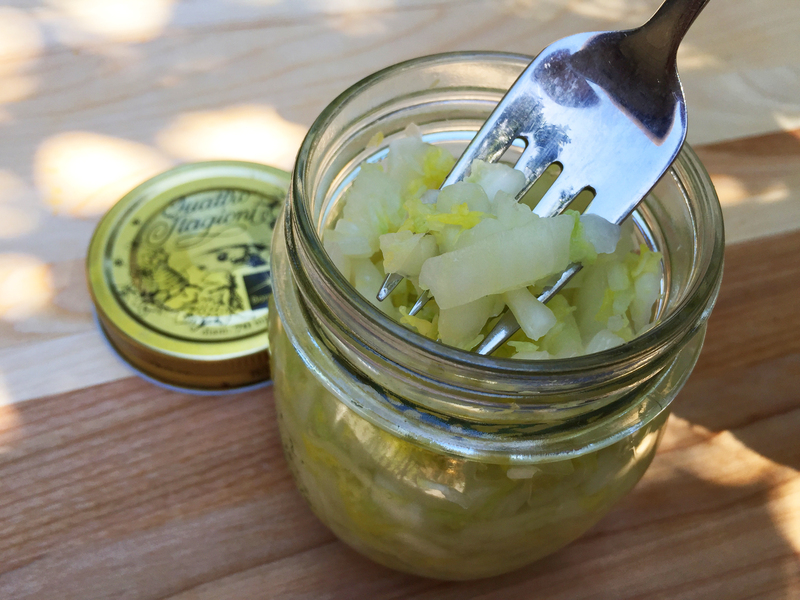 What exactly are the benefits of eating sauerkraut, and is it any better than eating other kinds of fermented foods? 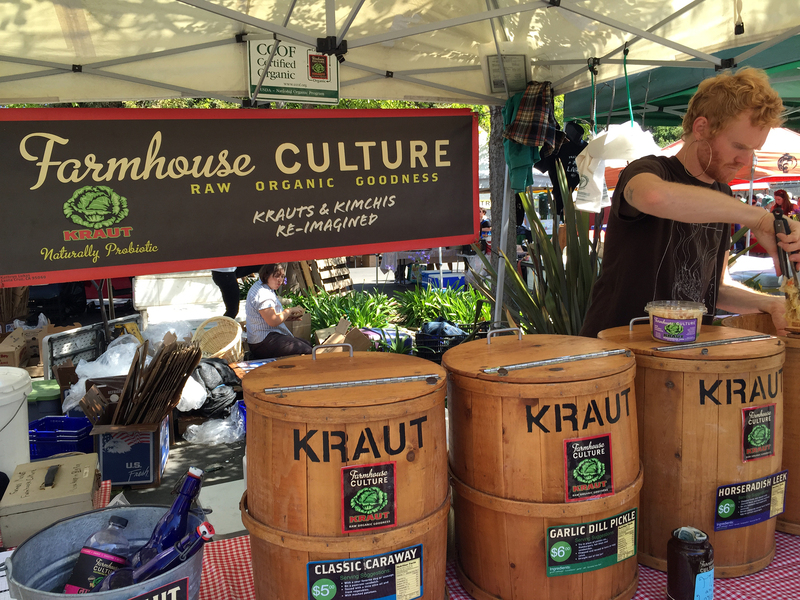 Do all forms of sauerkraut pack the same microbial punch? I’ve also been wondering about how to pair sauerkraut with my meals in more interesting ways, as opposed to sitting like a sad lump on the side of my sandwich. For answers to all of my scientific and culinary questions, I turned to the experts. At her lab at the University of California, Davis, microbiologist Dr. Maria Marco studies how bacteria and other live organisms can play a role in human health, as well as food quality and safety. She also teaches her students about sauerkraut as a prime example of how the fermentation process works. 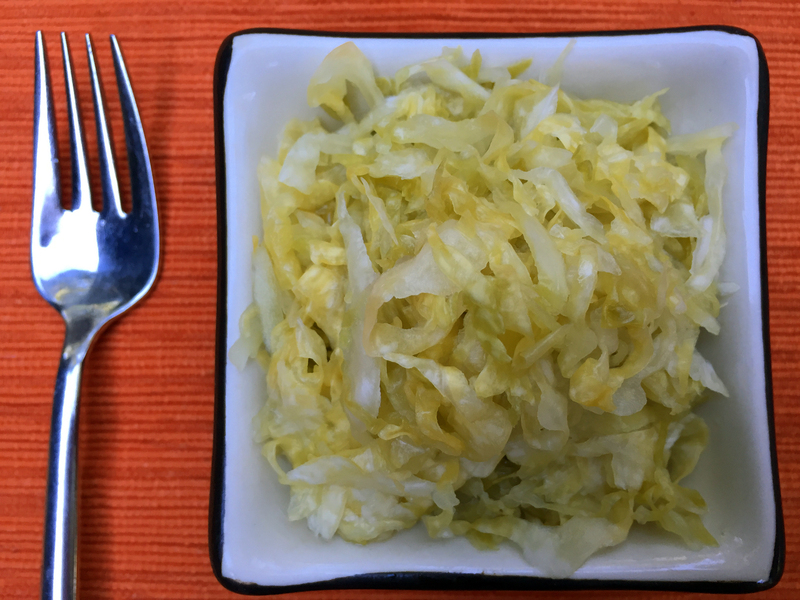 A German word that simply means “sour cabbage,” sauerkraut is traditionally made with just two ingredients: finely shredded cabbage and salt. Fermentation occurs when these ingredients are placed in an airtight container, where the lack of oxygen spawns the growth of lactic acid bacteria. This kind of bacteria causes the natural sugars in the cabbage to convert into lactic acid through a process called “lacto-fermentation, which gives sauerkraut its sour flavor. Both the lactic acid and the added salt help to preserve the cabbage and prevent rotting. Live bacteria strains like those found in raw sauerkraut are sometimes classified as “probiotic,” a term that’s often stamped on food products to indicate that it contains live bacteria. But according to the World health Organization’s definition, a food should only be classified as probiotic if it contains living microorganisms that are proven to confer health benefits when consumed. Semantics aside, eating foods with probiotics is touted as a way to replenish essential microbial communities in our guts that have been diminished by things like antibiotic use. Marco explains that these microbes have little chance of being replaced simply by diet -- especially typical American diets that are loaded with processed and pasteurized foods that are nearly bacteria-free. Studies have shown certain types of lactic acid bacteria can enhance digestion and boost overall immunity, and it’s those bacteria that are responsible for the probiotic buzz. But as Marco points out, most non-toxic bacteria -- including those found in fermented foods -- have not actually been studied enough to warrant a probiotic classification. Another eye-opening fact is that different fermented foods contain different amounts and strains of lactic acid bacteria. So the potential benefits of eating yogurt, for example, may be very different from any benefits associated with eating sauerkraut. This strain of L. plantarum that Marco studies is very similar to the one found in the drink product, GoodBelly. But the bacteria in the GoodBelly drinks don’t occur naturally; they are added. Every serving contains billions of these L. plantarum cells, as opposed to the million or so in each serving of fermented sauerkraut (and olives). And you never quite know which strains will naturally evolve in your sauerkraut unless each batch is tested, which would be very costly and time consuming for purveyors. What is known is that eating lacto-fermented foods generally helps create a healthier environment in your gut, which in turn can help ward-off pathogens and support our bodies’ ability to digest and metabolize nutrients. So while you may never know the full microbial make-up of your sauerkraut, it’s likely that it will offer some benefits. We also know that eating cabbage – whether fermented or not – offers a good dose of vitamins, minerals and other health-promoting phytonutrients. 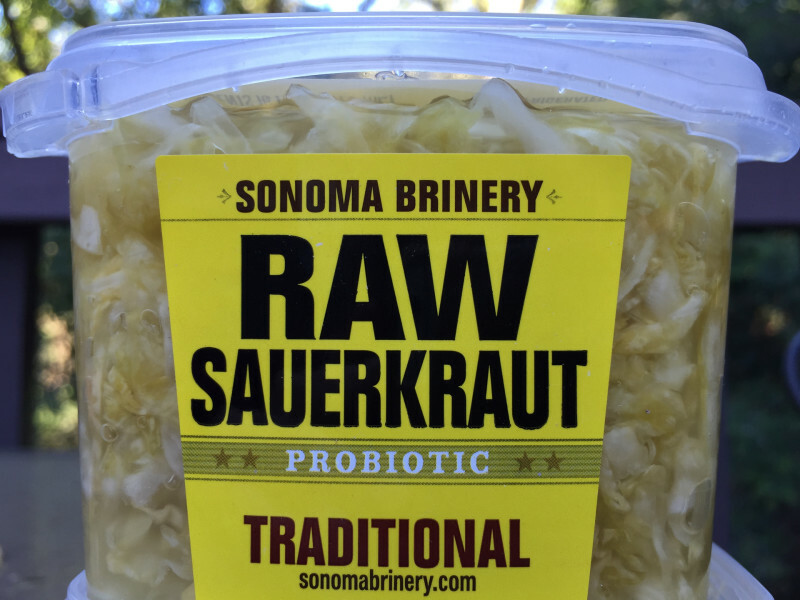 Sonoma Brinery’s founder Dave Ehreth doesn’t know exactly what strains of bacteria are in each vat of his popular sauerkraut. What he does know is how to manipulate the microbial magic so that his brew tastes just right. An electrical engineer with a 28-year tech industry career under his belt, Ehreth decided to apply his self-described “nerd” know-how to making and marketing New York style kosher pickles and raw sauerkraut on the west coast. Since he sold his first batch some 10 years ago, he’s been conferring with scientists and poring over scholarly articles to stay up-to-date on the latest developments in fermentation and probiotic research. He’s also spent time conducting his own culinary research in the kitchen. Ehreth also suggests using it as a topping for a sauteed onion and swiss cheese egg-scramble. “Add the sauerkraut just at the very end as the cheese starts to melt and you’ll have the perfect breakfast.” Ehreth says the bacteria remain in tact until they hit about 130 degrees, so while you don’t want to cook your sauerkraut -- you do have a little leeway. I haven’t tried either of his suggested sauerkraut combos yet, but my mouth is watering just writing about them. I did try tossing it in with some miso-glazed cod and sautéed veggies, which added a nice contrast to the sweet glaze. These dishes might tempt microbiologist Maria Marco too, who is also a fan of Sonoma Brinery’s sauerkraut.